Gaming Beats Dementia Says Study — A clinical trial funded by the US National Institutes of Health using 2,800 people has found that older adults who practice specific computer training exercises that test how fast they respond to visual stimuli could face a 29 percent lower chance of developing dementia. Used a specific brain-training exercise called “Double Decision,” a patented program by Posit Science that is available on BrainHQ.com. 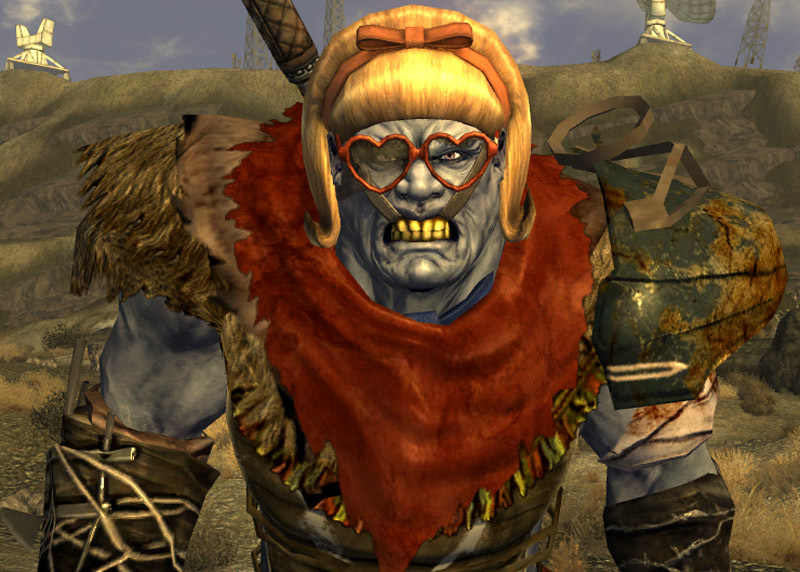 Of course, if you happen to be a mean old character Bioshock or Fallout 3 might be more to your taste. Video Game Health Benefits — Let the guilt end. PositiveHealthWellness.com reports that video games are good for you. In moderation obviously. One does need to get outside, exercise and see others face to face. Gaming, however, has been shown to provide benefits in overcoming dyslexia, improving memory, making one a faster decision maker and even building social skills, according to the website. As an aside, we can think of one business back in the ’90s that encouraged its workers to play Solitaire to learn mouse skills and to become familiar with the computer. Nova Prof Kills Skewed Gaming Study — A Villanova psychology professor has helped cause the retraction of a highly influential report that claimed video games caused violence. Beware the battle cattle but don’t fear the battle cattle. Psychology prof Dr. Patrick Markey, along with Dr. Malte Elson of Ruhr University found that “‘Boom, headshot! ?’: Effect of Video Game Play and Controller Type on Firing Aim and Accuracy” had numerous irregularities that suggested it was skewed towards a predetermined conclusion. The paper by Dr. Brad Bushman, who teaches psychology at Ohio State, and Jodi L. Whitaker, who was his Ph.D. student, was published in Communication Research and the conclusions were repeated by establishment media. So kudos Dr. Markey for keeping academia honest. You make us want to go out in the street and belt out a verse of Rise Rapture Rise. 14 Percent Gamers Are Americans — Fourteen percent of Americans use a computer or console to play a video game at last five hours per week — and that doesn’t include those who use mobile devices. Scientists at the Shanghai Mental Health Center scanned the brains of 17 adolescents diagnosed with “internet addiction disorder” who had been referred to the, and compared the results with scans from 16 of their peers. They found impairment of white matter fibers in the brain connecting regions involved in emotional processing, attention, decision making and cognitive control, which were similar to that for alcoholics and cocaine addicts. It is estimated that between 5 and 10 percent of internet users — mostly gamers — are addicted. How does one know if one is an addict? One example used was if one spends 14 hours playing games nightly online, and find oneself unable to quit despite the damage it may be doing in one’s life, then one is an addict. Democrat Party Worse Than Nuclear War? Democrat Party Worse Than Nuclear War? — Fallout 3 is a video game set in the ravaged wasteland of a post-nuclear war America. Detroit is a city featured in a recent Super Bowl commercial that has been run by the progressive Democrats since the 1970s. A screencap is an image taken from the game. Starjed posted URLs to the Fallout 3 screencaps and to actual photos of the Motor City and asked you to guess which is which. Starjed didn’t provide direct links to the images so you’ll have to cut and past their URLs into your address window but the point is made. The conclusion that one can draw is that Democrat Party leadership is as bad for a society as nuclear war. Some actually make the case that it is worse. Author Bill LawrencePosted on February 10, 2011 July 11, 2017 Categories Gaming, StarnesvilleLeave a comment on Democrat Party Worse Than Nuclear War?